Here you could register for the SEETB Successful Candidate Register. Your personal details will be listed on the official website of SEETB. 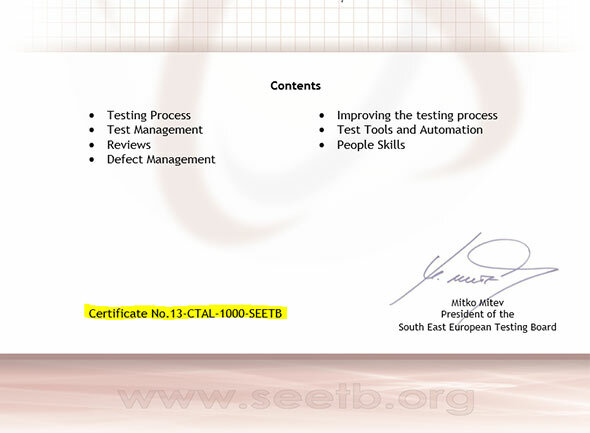 The SEETB SCR is a database of candidates who have achieved SEETB certification by successfully passing a certification exam. Please notice that the SEETB SCR will be available from June 2017. 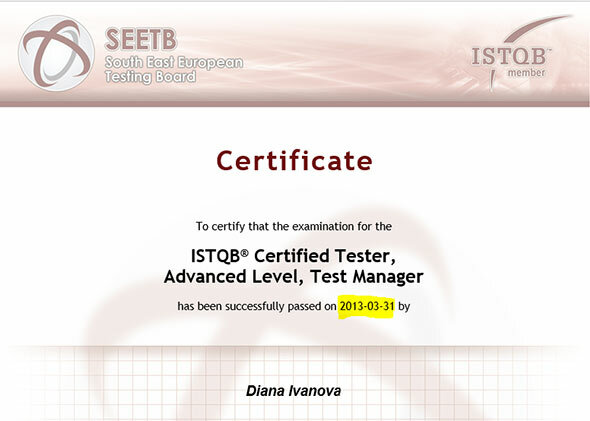 Please enter your certification data from your ISTQB certificate to the corresponding filed. I agree to the use of my personal data for the purpose of publication in the ISTQB Successful Candidate Register. The ISTQB SCR comprises the following: name (family name and first name), certification module (Foundation, Advanced, Agile, Specialist, etc. ), level of certification (CTFL; CTAL-TM; CTFL – AT), part of certificate number, country that the certificate was gained and certification body (i.e. SEETB). Unless you have explicitly agreed to other usage of your e-mail address (e.g. Newsletter), it will only be used to send you a confirmation e-mail or for necessary communication in the context of the ISTQB Registry. You may withdraw your consent to be listed on the SCR at any time by contacting SEETB at info@seetb.org. Examinaton date - where to find? Certification No. - where to find?